Freehand Black. 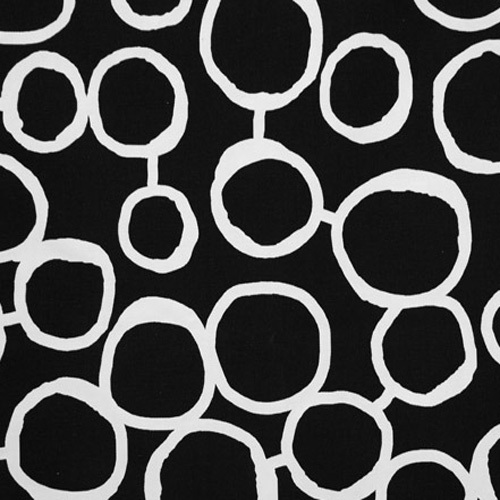 Large scale contemporary circle print in white on a black background. Suitable for drapery, decorative pillow covers, shower curtains, headboards or light upholstery.